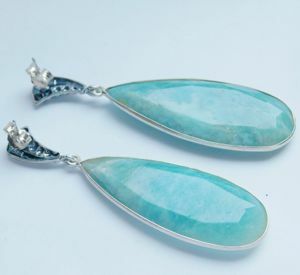 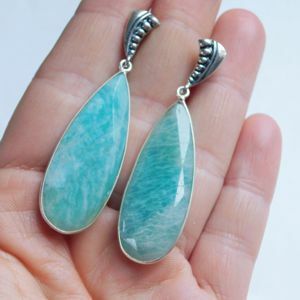 These long pear-shaped Amazonite gems are set in Sterling Silver and make a true statement. 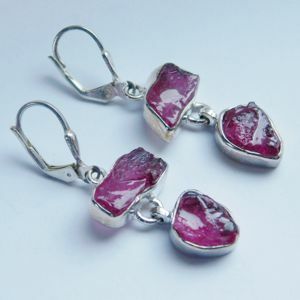 The gems measure 40 x 15 mm. 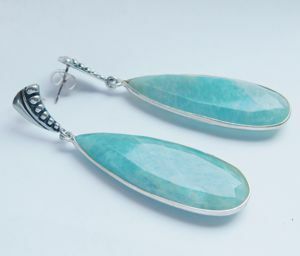 This time I used studs on the top to cover the ear holes. 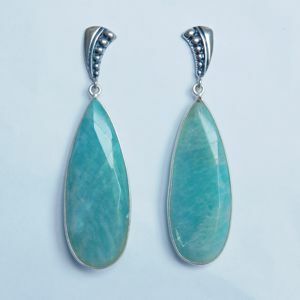 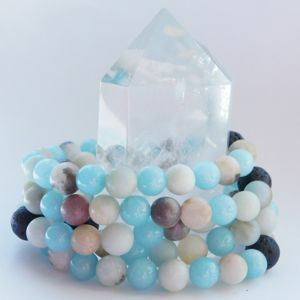 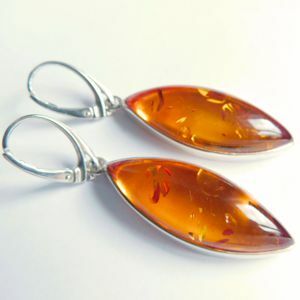 They are comfortable to wear and weigh 6g per piece.